Pedal to metal in battle of the Buttress! It was pedal to the metal as cycling enthusiasts tackled the renowned cobbles of the Buttress. 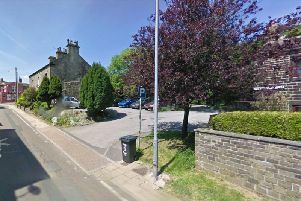 Riders battled the Hebden Bridge hill as they fought for the chance to smash the fearsome cobbled slope in record time. These fantastic photographs were taken by Bruce Cutts, of the After Alice photography project. The project, named after Hebden Royd’s most famous photographer Alice Longstaff, includes using film - including monochrome - cameras to capture local life and events for posterity. The images are then stored in digital and negative formats in an accredited archive to museum standards. The event is held as part of the South Pennines Walk and Ride Festival, which started on Saturday and will run through to September 27. For more information on upcoming walks and rides, visit www.walkandridefestival.co.uk.